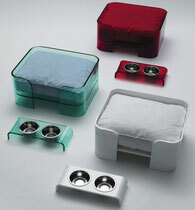 WOWBOW London is a luxury brand committed to pampered pets & their discerning two legged companions. The company is founded on a vision: to pioneer and create unparalleled design solutions for our furry friends. By combining the best craftsmanship, animal husbandry and a unique personal service, WOWBOW London sets the standard for a new class in pet furniture. 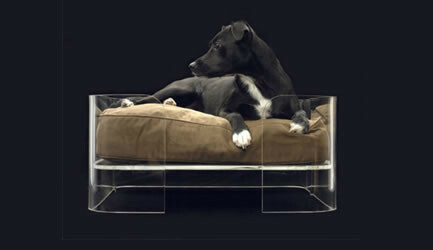 This vision appeals to the individual who values the very best in contemporary design with an uncompromising love for pets, as well as their aesthetic eye and personal environment. As WOWBOW focuses on pampered pets and their families, we don't want to forget about the animals who are less fortunate. We will be donating a percentage of all sales to charitable organizations here in the UK that are committed to animal welfare. It is the company’s plan to set up a WOWBOW London Foundation. This organization will spread its proceeds globally in an effort to help provide better futures for our furry (and not so furry) friends. Our aim is to help fund animal rescue operations worldwide with a focus on local veterinary education programmes providing employment opportunities to underfunded communities, training in vaccinations, re-homing and introducing spay and neutering programmes. WOWBOW London’s ‘Mija’ (Mee-Haa) line of unique pet furniture arrived through a familiar scenario; where upon its creator searched high and low for a particular product, only to be disappointed time and time again. UK pet stores seemed overwhelmed with soft and squidgy bed products, covered in tartans and paw prints. As for Kim Bull, a trained designer and creative director, she was looking for something that was not only functional but would also be an aesthetic asset to her home. To this end a bed was eventually sourced and shipped from NYC via California, however, it lacked structure and was soon looking less than timeless. So Kim was determined to design a bed herself and began researching the foundations for what would become the ‘Mija’ range and, in turn, set the mould for the matching ‘Dining Table’. Originally the plan was to design and commission just the one bed for the one dog, but as time went by the picture widened and the kernel for a brand emerged. 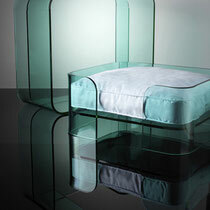 Several months and an equal number of prototypes later, the ‘Mija’ bed was in production and sold all over the world. 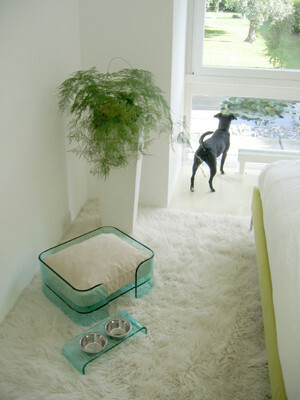 Lovingly made from 10mm thick high grade acrylic with faux suede cushions and a wealth of innovations which makes living with the beds a joyful experience for both dog and home owner. "I haven’t come across this before. The idea is beautiful, simple and really smart"
"It is as nice as can be, comfortable, more attractive and softer than my own bed"
"I am fussy with my decorative objects and I had never seen such an elegant basket"